Marriage Curse reasons and remedies, impacts of vivah shraap and solutions, how to detect problems in married life as per astrology and how to over-come, learn the remedies to make life successful. Marriage is one of the important aspect of life. Marriage is not only necessary to live a good social life but it also helps to fulfill the biological need of two person. Marriage is a sacred bond between 2 person to live life together. Through marriage a person get partner in life with whom he or she is able to share views, happiness, griefs life long. Marriage makes our life strong and also make it smooth and wonderful if takes place nicely. But there are many people who are not getting the happiness of marriage life, some are married but not able to make smooth relation with partner. Many are unable to find good match for marriage. Every one has some dreams about his or her marriage but this is a bitter truth of life that not every one has the good luck to get the desired partner for marriage and some one even not get partner in time to enjoy the happiness of marriage life. Compromise goes with every one in marriage life. Every one wants to know the reasons of delay in marriage or dissatisfaction in marriage life, problems in vaivahik jivan. So in this article i am clearing about the vivah shraap. Shraap means curse of any type i.e. the negative wishes for us by any one which can become true in our life. There are different types of curses which i have already cleared in my earlier article 'Curses in Horoscope'. Here i am going to put focus only on Vivah shraap i.e. Marriage curse. If any boy is facing delay in marriage life that means he is suffering from marriage curse. If any girl is facing delay in marriage that means she is also suffering from marriage curse. If any married couple is not enjoying the life that means any type of marriage curse is generating negative impact in their life. So shraap or curse is very important aspect in astrology and it is necessary to study the the horoscope deeply and minutely to find the real type of shraap or curse in birth chart or kundli. Then it is possible to root out the problems by adopting the way of astrology or occult sciences to over come from curse to make our marriage life successful. How To Detect Vivah Shraap or Marriage Curse? If while going for talking about marriage if any type of negative incident takes place regularly then it shows the vivah shraap or curse in marriage. So you must consult astrologer for this. If crow or any type of unwanted persons comes on the way regularly then it also shows some problem in marriage life. Any death news at the time of going for marriage discussion also shows curse in marriage so consult astrologer. Any type of frightening dream just before and after the discussion of marriage also shows curse in life. So don't underestimate any bad omen if happening or happened during process of marriage. It may ruin the complete marriage life, it may be because of some evil eye effects, it may be because of our own bad luck. It is better to consult astrologer and do the proper remedies to proceed further to get the process done without any problem. Here i also want to say that it is not necessary that a good match making will make the life better because i get many cases in which i have found that in spite of sound match making points marriage life of person is disturbed. 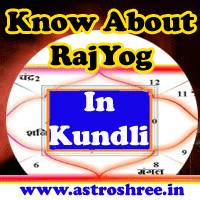 So it is very necessary that we must check every aspect of kundli before finalizing the marriage and also it is good to perform the shanti pooja and other rituals which are necessary from the point of view of an experienced astrologer. If the marriage place in birth chart is under impact of any malefic planet or negative planet then it means that there is a vivah shraap or marriage curse in kundli. If the master of marriage place is present in happiness place and generating any malefic effect then it also shows problems in marriage life. Any type of grahan yoga in marriage is a very dangerous sign of shraap in marriage life. If the marriage place is viewed by ay malefic planet then also it clears the impact of shraap or curse in kundli. read about Katyaayni Puja. By using the grah shanti process we can minimize the impact of vivah shraap in life. By using special gems stone we can make our life good. By doing yantra saadhna we can minimize the impact of marriage curse. By reciting some spells as per our horoscope we can minimize the ill effects of marriage curse. Proper daan can also make our life better. So there are remedies of problems but it is necessary to consult a good and experienced astrologer who can provide a perfect solutions of your problem and it is also necessary to keep trust on astrologer and perform the rituals as per given instructions. Consult astrologer for horoscope reading, marriage problem solutions, minimizing the bad effects of vivah shraap or marriage curse in life and solutions.